We got the Warriors World writing crew to give their thoughts on four questions concerning the first week of games and the end of potential extension negotiations with Harrison Barnes and Festus Ezeli. Other than Stephen Curry, who on the Warriors is playing better than expected so far this season? Sheed (@warriorsworld): Draymond Green. There have been absolutely no post-contract blues for Draymond this season. The jumper looks much improved as he is shooting the ball with more arc this season, his dribble-drive lobs to Festus have been on point and of course he has been a monster on the defensive end. Jordan Ramirez (@JRAM_91): Festus Ezeli has impressed in his newfound role as interim starter for oft-injured Andrew Bogut. The Aussie, who went down 19 minutes into the season opener, has been known to suffer injuries of all types. Luckily for the Warriors, Ezeli is fully healthy and — in a contract year, no less — ready to make his presence known as a potential starter. Ezeli has played well this season, especially on the defensive end. He is altering shots and being that big body down low that blocks and grabs rebounds at an impressive rate. Bogut’s absence clearly has not hurt the team, considering they have won their first four games by a record margin of 100 combined points. There has been no drop off,and it would not surprise me to see Bogut’s minutes managed this season in a way to get Ezeli more time. Danny Leroux (@DannyLeroux): Draymond Green has really impressed this year. While Ezeli has played very well with the starting lineup since Bogut’s injury, he helps the team in different ways and some of the defensive responsibility for that adjustment falls on the DPOY runner-up. 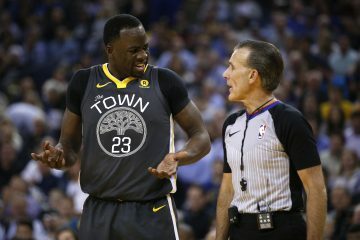 Beyond handling that and having Luke Walton on the sidelines instead of Steve Kerr, Draymond has helped initiate the offense including a very strong performance against the Grizzlies on Monday. Getting paid $82 million did absolutely nothing to affect Green’s motor, which is both satisfying and unsurprising. 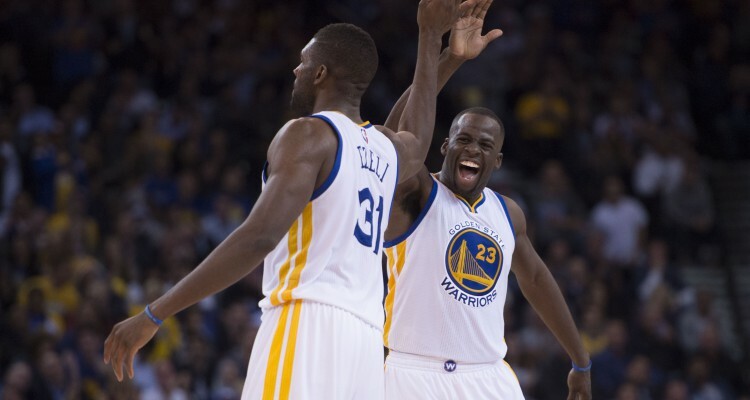 Jesse Taylor (@JesseTaylor74): Draymond Green is playing great but Festus Ezeli looks a lot better than I expected so far. For the first time in his NBA career he is playing with a high level of confidence and is acting like he belongs. Ezeli is in the right place at the right time on offense, reading where the missed shots may go and following up for the offensive rebound put-back. While he is not yet at Andrew Bogut’s level in terms of positioning on defense, Ezeli’s timing and overall defense has been great through four games. The Warriors have not really missed a beat with Bogut out. It’s like the 2015 Playoffs all over again. Jared Williams (@jaredqwilliams): Is Luke Walton an acceptable answer here? Kerr’s absence is a perfect excuse for the Warriors to sleepwalk through the first ten games of the season. 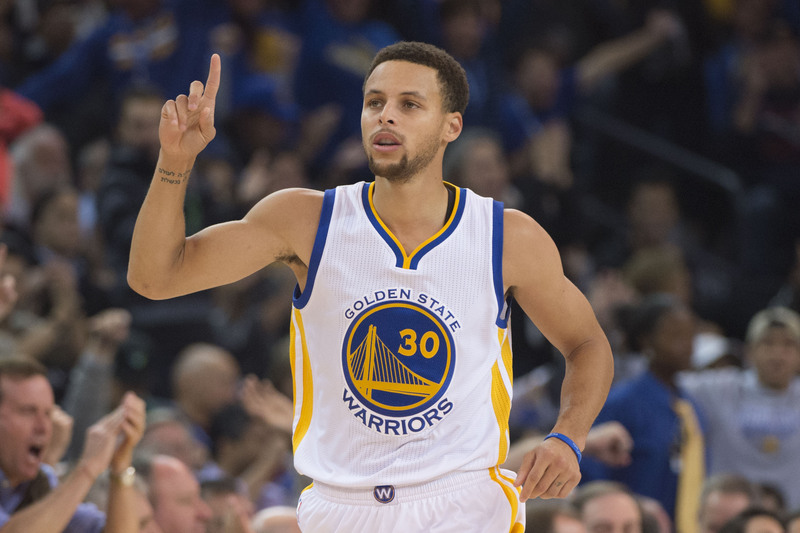 In spite of that, the Warriors avoided that regression and become even more of a juggernaut. This is really a reflection of the cohesiveness of the entire organization. In terms of specific players, Festus has exceeded my expectations. My three (albeit, minor) concerns are Klay’s slow start, McAdoo’s integration into the rotation, and Draymond’s health. 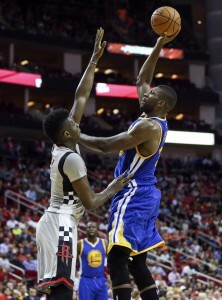 Are you surprised that neither Barnes nor Ezeli agreed to an extension before the deadline? Sheed (@warriorsworld): Yes. Surprised to see HB turn down (reportedly) $64m and play out the season. He will go into restricted free agency with the hope of a team throwing a max offer at him which puts the onus on the Warriors if they want to keep him or let him walk. His numbers in Golden State will never justify a max extension simply because he will always be a third or fourth option in Golden State. Jordan Ramirez (@JRAM_91): I am surprised that Barnes did not receive an extension but less so for Ezeli. There had been reports of Barnes denying a deal in the neighborhood of $64 million, which took fans, and presumably Bob Myers, by surprise. For both sides, it makes sense: if Barnes plays well and helps the Warriors win another title, his annual rate can rise to the $18-20 million range. 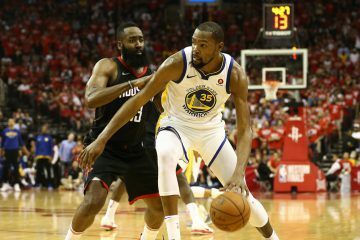 If Barnes falls flat or does not become the consistent third scorer this team needs, the team can look elsewhere — ahem, Kevin Durant — to try and fill in that small forward position. Either way, the Warriors can match any potential offers to Barnes or Ezeli due to their restricted tags. I figured Myers and Barnes would come to an agreement that makes everyone happy, but Barnes and Ezeli are now playing in a pursuit of happiness of their own. Danny Leroux (@DannyLeroux): Much more surprised that Ezeli did not extend than Barnes. Festus heads into this season carrying so much more risk because he was not a blue chip prospect and has missed so much time due to injury. Harrison Barnes can reasonably expect that some team (likely more than one) will offer him a gigantic sum of money regardless of what happens this season but Ezeli cannot think that way, at least not yet. The front office has the structural incentive to press their advantage and wait until after the season unless either player was willing to take a discount but my instinct was that there was a middle ground with Ezeli fertile enough to yield a good contract that would have looked like a bargain after the Memphis game. Jesse Taylor (@JesseTaylor74): I fully support professional athletes trying to get as much money as possible from teams. That said, even with the new TV money, I do not see Barnes getting more than the reported 4 year, $64 million offer, mainly because the more he plays the more you realize he is not as good as he should be. From the moment he was drafted, I have been President of the Harrison Barnes Fan Club but now, in his fourth year, I have jumped ship like the Fan Club President for Jared from Subway. So no, I was not surprised that the Warriors and Barnes did not agree to an extension. I also would not be surprised to see him playing for another team next year. Ezeli is doing the opposite of Barnes and playing like he is going to earn the money he gets next season, which I expect to be from the Warriors. 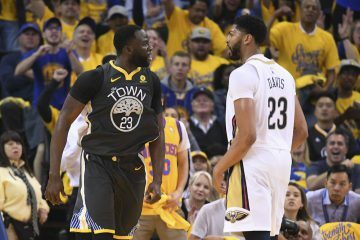 Jared Williams (@jaredqwilliams): The supernova that has been the Warriors’ start to the season has shielded the storyline that is in my humble opinion, the more interesting one: by not extending Barnes or Ezeli, the Warriors gave themselves mega flexibility for next summer. While I did not expect HB to reach a deal, Festus not signing an extension was particularly surprising to me. After three years of emphasizing roster continuity, the story of the Warriors’ front office decisions is beginning to evolve. Just a year after the Warriors redefined defense with their switch everything style, the team is once again looking for the next NBA trend. 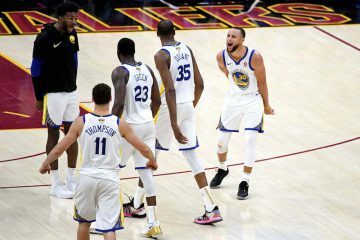 This lack of complacency is reminiscent of the companies that define the region in which the Warriors play; instead of being left in the past, the Warriors are preemptively pivoting the nature of what it is they do. While this approach yields greater unpredictability, it is what I as a fan want to see from my team. Instead of riding out the current run for two or three more seasons, the Warriors are trying to win the next seven or eight seasons. That is equally exciting and terrifying, and it began with Barnes and Ezeli not receiving extensions. How has Festus Ezeli looked playing substantial minutes with the starters? Does it change your view on him as the potential center of the future? Sheed (@warriorsworld): Festus is ready to be a starter. I’ve been harping on this for a while now and Ezeli’s early season success has made me look like a genius! I kid I kid… Ezeli has taken advantage of yet another injury to Andrew Bogut and given the Warriors a scoring threat at the center position. The game looks to be slowing down for Ezeli and the confidence is growing. Jordan Ramirez (@JRAM_91): There is no doubt that Andrew Bogut has played a substantial role in this team’s rise from bottom dweller to world champion. His presence defensively, his screens and ability to pass opens up a ton for the Warriors on the offensive end as well. With that said, there is not a huge drop off from Bogut to Ezeli going forward, at least not enough of one to warrant rewarding Bogut another big contract after his current deal expires. Ezeli is four years younger, has filled in nicely in Bogut’s absence and has grown in this system enough where I am fully comfortable with him being the center of the future. Ezeli is not the passer that Bogut is but besides that — which can be improved with more starter minutes — the 2012 draftee has earned the right to start going forward. Danny Leroux (@DannyLeroux): Ezeli has looked great. I was intrigued to see how he handled playing extended minutes with the starters and thus far he has delivered without any need for qualification. His effort crashing the glass brings a different (and slightly inferior, at least for the time being) aesthetic to the offense and he does not protect the rim in the same way Bogut does but I can totally see him meshing with Curry, Thompson and Green long-term much more clearly now than even a week ago. Jesse Taylor (@JesseTaylor74): Through four games, Ezeli looks like he can hold down the center spot for years to come. I fully expect him to get better and better from this point forward. He may not take the starting center spot from Bogut this season, but that does not really matter because Ezeli will likely play similar or more minutes than Bogut during the season and playoffs. Jared Williams (@jaredqwilliams): Few things in life get more excited then a successful post-up by Festus Ezeli. While that is mostly an indictment of my life (and the fact that the majority of my non-Festus related excitement currently derives from the soundtrack of the new Alexander Hamilton musical), it is also an indicator of the tangible potential every Warriors fan sees in Festus. I believe that Festus should already be starting on this Warriors team and every game encourages me more. When comparing Festus to Bogut, most fans point to Bogut’s superior passing and rim protection but those two things do not concern me as much. In my eyes, if Festus can set screens at 90% of the level Bogut does (and Bogut is a GREAT screener) he will have eclipsed Bogut. Are we running out of descriptions for Stephen Curry? Sheed (@warriorsworld): Yes. He’s the human cheat code. The showmanship, the art, the skill, the easiness, the confidence, the cold bloodedness, it is amazing to watch. Jordan Ramirez (@JRAM_91): Simple answer: yes. His continued improvement after an MVP campaign has been ridiculous and he is just toying with teams now. Curry now owns his newfound title as best player on the planet, and we see it in his play on the court. Behind-the-back passes, step-back threes from the corner and high-fiving teammates before the ball going in are just some of the highlights he has provided already this season. It is incredible to watch on a nightly basis, and he is the main reason why the Warriors have become must-see television. Danny Leroux (@DannyLeroux): As someone who gets paid to write about the league and this team in particular, it is getting a little scary. As the “best shooter of all time” discussion becomes clearer and clearer, the superlatives are going to become even more repetitive. I continue to love watching him play but describing it is getting awfully hard. Jared Williams (@jaredqwilliams): There is nothing better than trying to explain the phenomenon that is Stephen Curry to non-basketball fans. For many people the lesson in evaluating professional athletes is about trying to quantify how superhuman they are. Lebron’s a 6’8″, 250 pound bowling ball of a basketball player – to the average sports fan, his greatness makes sense. Kevin Durant is a legitimate seven-footer (just look at him standing next to 6’11″ Enes Kanter!) with one of the best shots in the league – that seems superhuman, his greatness makes sense. Then, you have Steph Curry; a man whose physique is reminiscent of a tech company’s lunch-time ultimate frisbee game, not with aliens like Lebron and Durant. It is this divergence that makes Curry so confounding – someone who has truly begun to defy description. Thanks for reading- we will try to have these features regularly throughout the 2015-16 season.